USA TODAY Sports sits down with Team USA women’s ice hockey forwards Amanda Kessel, Brianna Decker, Meghan Duggan, and head coach Robb Stauber to discuss the rivalry with Team Canada. GANGNEUNG, South Korea (AP) — North and South Korea face a widening linguistic divide after 70 years of division, and that is a challenge for the rivals’ first-ever joint Olympic team as it prepares for the Pyeongchang Winter Games. 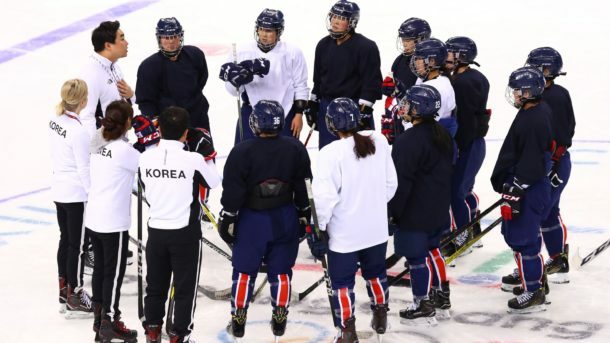 The Canadian coach of the joint women’s hockey team said Monday her squad has made a three-page dictionary that translates key hockey terms from English into South Korean and then into North Korean for better communication among the players and herself. “In North Korean, there are no English words so everything is totally different. So we actually made like a dictionary, English to Korean to North Korean. So we can communicate and hopefully learn how to speak each other’s languages,” Sarah Murray told reporters following her team’s first practice after arriving at the Gangneung athletes’ village earlier Monday. Murray’s Team Korea was formed only 11 days ago as a result of the Koreas’ abrupt decision to cooperate in the Olympics, which start Friday. 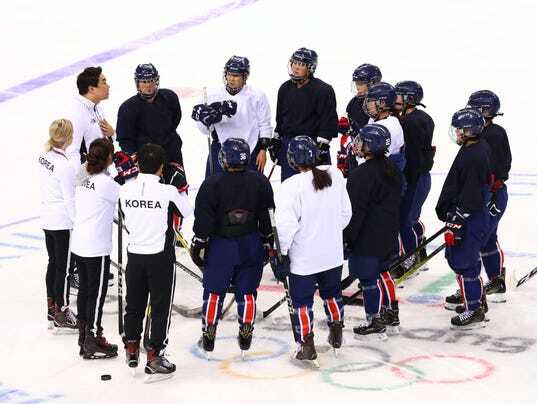 The joint team’s formation triggered a strong backlash in South Korea, with 12 North Korean players added to Murray’s existing 23-member South Korean team. Critics worried the deal would deprive South Korean players of playing time, and a survey showed about 70 percent of South Koreans opposed the joint team. Murray also expressed initial frustration. They wore the same uniforms with a “unification flag” depicting the peninsula, and stood to the Korean folk song “Arirang” instead of their respective national anthems. But when they arrived at the Gangneung athletes’ village, they were separated into different apartment buildings. A total of 22 North Korean athletes are to participate in the games, thanks to special entries granted by the International Olympic Committee, and they plan to march with South Korean athletes under the “unification flag” during the opening ceremony.